- Derek Clapton digi štampiljko (Dr. Digis), ki sem jo pobarvala s Prismacolor barvicami. - razcepke in nekaj okraskov iz domače zaloge. Dobro si tole pobarvala in prav zabavna voščilnica je. What a fantastic card. Love the details and design. Thanks for your entry in our challenge at Tuesday Throwdown! What a fun and funny image, Marjeta! Great coloring. 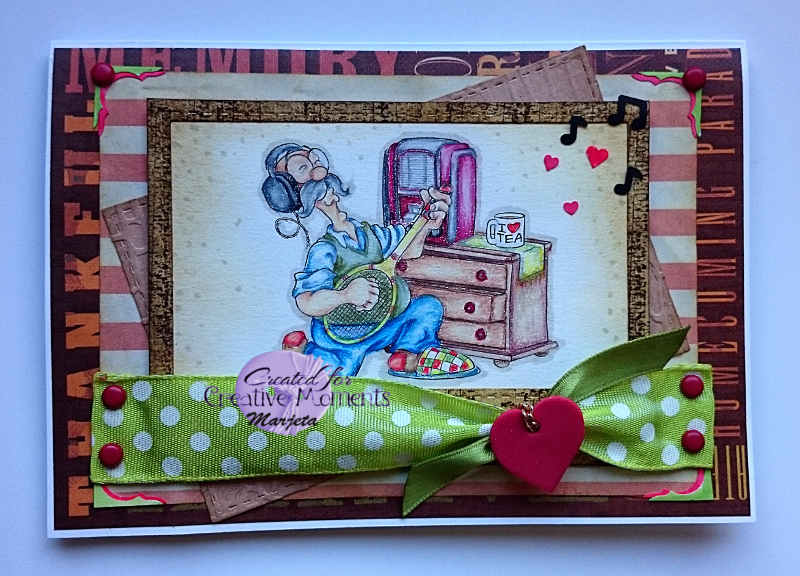 I'm delighted to see you playing in our "Anything Goes" challenge at Crafts Galore Encore this month and wish you good luck in the draw. what a super cool card! love it and the colouring is awesome! Beautiful card. SO cute image. Thank you so much for entering our ATG challenge at Through The Craft Room Door this week. Looking forward to see you again next challenge. 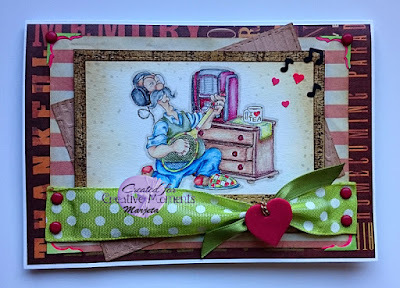 Beautiful card - thanks for joining us at Creative Craft Cottage and we hope to see you again for our next challenge soon. He he ,,,,super si pobarvala ta motiv.